President of the Post-Polio Society Edith Morris contracted polio when she was a baby. After years in institutions, Edith eventually became strong enough to walk with the help of leg braces and crutches - she put polio behind her and moved on with her life: marriage, children and a career. Many years later her weakened muscles rebelled and the pain returned in what's known as post-polio syndrome, which affects some poliomylelitis survivors years after they've recovered from the initial acute attack. We also speak to former Labour MP and Polio survivor JB Munro. For over five years I have been involved in Community Radio Hamilton and enjoyed my time immensely. At first I hosted my own show “Talking Up Disability” for 3 and a half years which was sponsored by the Waikato Disabled Persons Assembly. 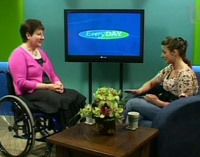 Then for the last couple of years I have had interviews on the Tuesday Breakfast Show. My main motivation has been to promote and “talk up” the people, events and causes around the disability sector in Hamilton, New Zealand and sometimes to discuss global issues. 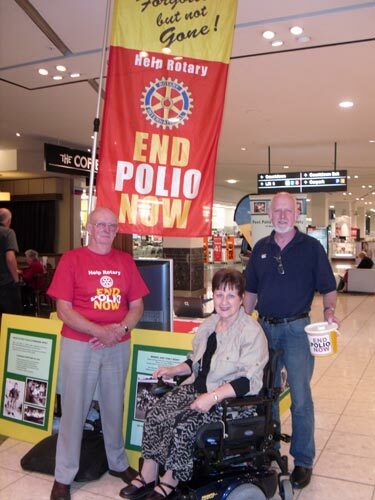 In the middle of this radio stage of my life, I was elected the National president for the Post Polio Support Society NZ (Inc) and as time has gone by my role with this organisation has increased to the point where I need to be making choices about my focus. All of that to say, I will no longer be a regular voice on Community Radio. But as most of you know, there is no way of silencing me, so you will hear from me in other arenas, whether it be in print or in person. And who's to say I may not be asked from time to time to comment or advocate on some disability matter by Community Radio in the future. So thank you to Phil Grey, manager, and the team who made it so easy for me to talk my head off week by week. And thanks to the hundreds of people with disabilities, their families and carers who have allowed my to pry into their lives as we have laughed and cried over the stories told on air. Do keep in touch by email or phone.